Tadaweb is the first small-data platform to scale human intelligence for discovering and analyzing information on the Internet. Based in Luxembourg with offices in London and Paris, this successful tech startup is a Disrupt 100 company and Microsoft partner. Silicon met with co-founder Genna Elvin to find out more about the company’s journey, unique values and plans for the future. Tadaweb focuses on providing technology that enables customers to replicate the processes they carry out to get their online info, and scale it. It is all about the human aspect of information gathering and understanding this online information. Our mission is to shape how humans interact with the web. François Gaspard (CEO and co-founder) spent over 15 years doing research, and he concluded that he needed a much faster way to get information. As online information is constantly changing, it’s difficult for a human to keep up. His dream was to build a technology that would replicate that process. So, in December 2011, with a great deal of encouragement and enthusiasm from early investors, we incorporated Tadaweb. We then spent the first two years on R&D and building up technology. Was it difficult finding investors? We started out with funding from friends and family, which got us through the first year. We then received support from Serge Rollinger (a Luxembourg business angel), the SNCI bank, and a few other angels. Initially, we thought we wanted to go down the venture capital route. We got to the end of a term sheet with a VC in London and then decided at the last minute to walk away from the table. We realized it wasn’t the right kind of investment, so we opted to stick with private investors. Tell us about the Tadaweb team. We started out at Technoport with just one developer. We’ve now grown to a team of 37 and there are several new job openings. We don’t have a sales team. Instead, we have forward deployment engineers (aka Tada information ninjas): people with engineering know-how who can also interact with customers. Two-thirds of our team are developers, then there’s the product team, and the ninja team in charge of customer service. How do you collaborate with Microsoft? We’ve been working with Microsoft for the last three years across a number of different areas. They love Tadaweb because we provide them with tough challenges, particularly in areas of image recognition and machine-learning. As a result, we often get early access to their technology and help them improve it through our testing. They also have access to our technology so you could call it a technological partnership. What’s the first piece of advice you have for entrepreneurs starting their own companies? Know your market early on. You really need to know the market you want to sell to and ensure you have a product-market fit. We were lucky because we had a lot of our own IP. Our investors loved our technology, and they invested because they trusted our IP. For companies that don’t have their own IP, if they don’t know their product-market fit, it can be very risky. What do you think about the startup ecosystem in Luxembourg? We have been really fortunate as we’ve watched it evolve over the last seven years. It’s definitely growing and flourishing, especially with initiatives like Luxinnovation. The government is clearly interested in bringing the entrepreneurial mindset to the country. There’s still a fair bit of work to do in terms of making it easier to rent office space, for example, or bringing in foreign talent. The visa process is still very long-winded. But the mentality is definitely improving and a lot has changed in the last few years. We have to remember that the corporate environment here is really “safe” so many people are not motivated to risk starting their own company. The only way startups can compete with banks offering sky-high salaries and good perks is with environment, culture and mentality. 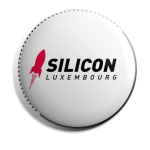 Are you actively involved in the startup community and promoting tech here in Luxembourg? Very much so. In fact, everyone on the team attends meetups and is passionate about getting young people involved in tech. As well as lecturing annually at the University of Luxembourg as part of the Master in Entrepreneurship and Innovation program, I was one of the coaches for the Jonk Entrepreneuren competition, I’m on the board of Equilibre, and involved in Luxinnovation’s Fit 4 Start. I’m also on the working committee of the ILA (Institut Luxembourgeois des Administrateurs) where we focus on board composition. Our aim is to find a way to future-proof some of the biggest organizations in Luxembourg, especially in the banking sector. Our goal is to encourage them to future-proof because otherwise, in 10 years, there will be a huge gap and no one to fill it. That could spell disaster. How could we attract more tech people to Luxembourg? We managed to get someone who worked for 15 years at Google to come to Luxembourg so it is possible! How? Because of our board and because of the network we have. Perhaps Luxembourg needs to re-examine its networking strategy. At Equilibre, we’ve talked about going on a trade mission to the U.S. where we can showcase Luxembourg. More exposure is crucial. 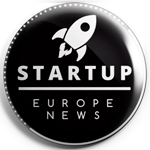 Which startups stand out to you in Luxembourg? Ouni. I really respect a brick-and-mortar startup that is still disrupting the status quo. Their package-free supermarket is an asset to the environment and it’s great to see Ouni being the first in Luxembourg! Talkwalker. We have “grown” up with Talkwalker, starting out in opposite offices in the original Technoport in the center of Esch. I respect this company for proving that Luxembourg startups can grow big, scale fast and eventually exit. My Science Work. A great data-driven, technology company that has proven how to do well in both Luxembourg and San Francisco. How do you deal with talent management? Talent management can be tricky. That’s why we create the kind of environment that helps us bring in talent from all over the world. It takes a long time to find the right people and we’re really strict on the people that we hire. We definitely don’t hire people that we don’t believe in, and a big part of that is taking into account the cultural fit. We’ve had to turn down some amazing talent because we didn’t feel they fit in with who we are as a company. Driven by our core values, we really care about our team. Work hard, play hard and family first – it’s not a mentality you see often here in Luxembourg. We have various recruitment strategies: there are a few headhunters we work with, and we also offer incentives internally – if someone finds new talent, they get €3,000. How do you convince people to move to Luxembourg? It’s quite hard to bring in younger talent, but Luxembourg is a great place to raise a family. Its central location is of course a big plus in terms of travel and exploring Europe, especially for colleagues coming from as far as Brazil, for example. We also offer a generous relocation package as well as stock options. Luxembourg has a lot going for it. Belval for instance is an exciting place to be as it’s growing and transforming into one of the country’s tech hubs. So Tadaweb is a very international company? Absolutely. We have around 15 nationalities in our team. In addition to creating jobs, the diversity and quality of talent we are bringing in is quite an asset to the Luxembourgish economy. And, most importantly, having people from all over means everyone thinks differently and does things differently, and so we learn from each other. Yes, the age range is from 26 to 34 so we’re a really young team. I am passionate about bringing the next generation into boards and positions of leadership. I started Tadaweb when I was 22 and that’s rare to see in Luxembourg. Entrepreneurs need to believe in the younger generation and start bringing them to the table more. Right at the start, we were working with banks that didn’t take us seriously. Now, however, we’re working with one of the most serious markets and we’ve proved that you can have fun, and succeed at the same time. What trends do you see in the world of technology? I think IoT is going to be massive. The interconnectedness of technology is exciting for us as a company as it’s the area we are delving into now – how information can empower devices and how they can be more intelligent. What are the next steps for Tadaweb? With no plans to move HQ, we are focusing on expanding in Europe over the next few years. With our Luxembourg team growing, we’ll soon move into bigger offices spanning four floors. Exploring new verticals is our main mission. We plan to expand cross-verticals and grow what we already have in Luxembourg. Pushing our technology further into the corporate area is another of our objectives.